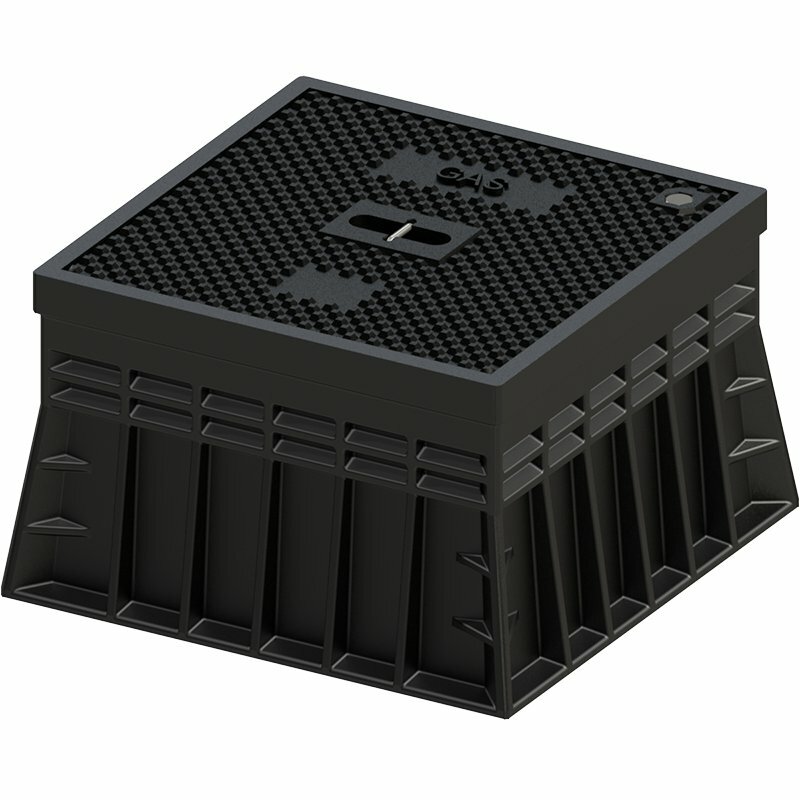 Fixed height HDPE surface box for gate valves and district heating. Synthetic (PP-GF) lid with standard inscription "GAS". Other colours and lid inscriptions possible. Type H-3583 PE; fixed height.